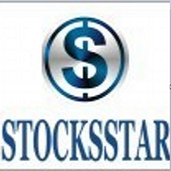 About me Stock Trader and Founder of Website www.stocksstar.com ( Private Only ) I trade with my own method not with charts ! Follow Ideas to if u want. Time for Bubble to Burst . BIGGEST CRASH WORLD EVER SEEN COMING ! GET READY FOR CRASH OF LIFETIME ! MOTHER OF ALL RALLY COMING ! RALLY OF CENTURY COMING ! Biggest crash in history of hangseng coming !